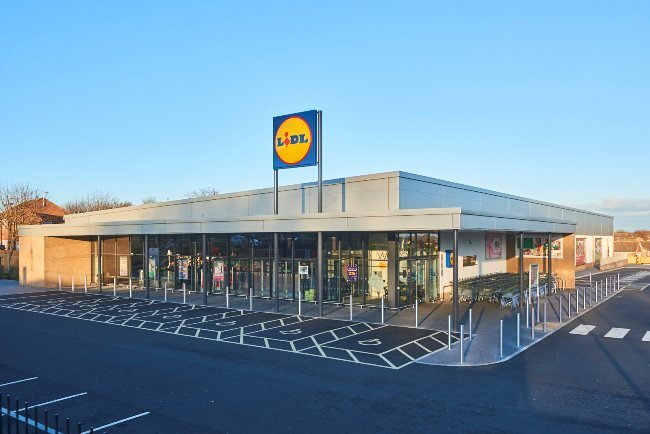 Leeds-based Castlehouse Construction has completed and handed over its 20th Lidl store in Littleborough, Greater Manchester to the retailer. This latest store is one of three newly built Lidl supermarkets across the North West and Yorkshire to complete. Stores in Rossington, Knaresborough and Littleborough are now operational. Lidl’s new Rossington store is based on Heatherfields Crescent, the sixth store to open in Doncaster with sites already operating at Balby, Bentley, Sandall Park, Mexborough and Thorne. Castlehouse has also delivered a new build supermarket on Chain Lane in Knaresborough, replacing the existing store on York Road. Littleborough also sees a new store opened on Stockton Street in Rochdale. Castlehouse Construction has handed over 12 new builds, three refurbishments and five bakeries over the last seven years to Lidl, demonstrating a successful long-term partnership.